READ THE BOOK CRITICS ARE RAVING ABOUT “A brilliant debut." --Graeme Simsion, New York Times bestselling author of The Rosie Project “A heartwarming and unforgettable page-turner." --Booklist, starred review “A powerful affirmation of the fragility and strength of families." --Publishers Weekly, starred review “At once captivating and heart-wrenching.... Ginny's is a unique and compelling voice.... Ginny Moon is original, revealing and timely. And, with any luck, it will spark much-needed conversations around foster care, adoption and autism. " 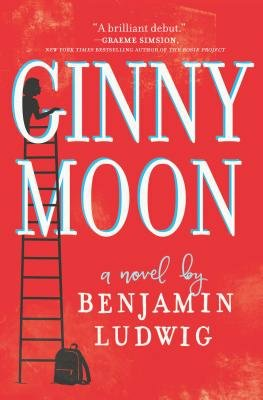 --The Toronto Star Full of great big heart and unexpected humor, Ludwig's debut introduces the lovable, wholly original Ginny Moon who discovers a new meaning of family on her unconventional journey home. Ginny Moon is exceptional. Everyone knows it--her friends at school, teammates on the basketball team, and especially her new adoptive parents. They all love her, even if they don't quite understand her. They want her to feel like she belongs. What they don't know is that Ginny has no intention of belonging. She's found her birth-mother on Facebook, and is determined to get back to her--even if it means going back to a place that was extremely dangerous. Because Ginny left something behind and she's desperate to get it back, to make things right. But no one listens. No one understands. So Ginny takes matters into her own hands... Benjamin Ludwig's whip-smart, unforgettable novel is an illuminating look at one girl's journey to find her way home and one of the freshest debuts in years. Ludwig clearly understands and validates the unique thought processes of special kids like Ginny. Although her behavior is not always admirable, her thinking is always clear and entirely rational within her own idiosyncratic world view.... The technique of using a na�ve or youthful character's perspective to build dramatic irony is not particularly novel. Still, Ludwig does so especially well, filtering, in particular, the dialogue of Ginny's Forever Parents and, eventually, her Birth Dad, through Ginny's perspective in a way that will resonate with readers differently, perhaps than it does with Ginny herself.